WNCAP Pharmacy Services has been working great. No more having to remember to do refills or going to a pharmacy to pick up meds. Over $35,000 in waived copays and deductibles for our clients. More than $5,000 for non-covered prescriptions. Over $5,000 in medication shipping costs. Adherence packaging available -- medications packaged in easy-open bubble packs by time of day to help with adherence. For more information about accessing affordable PrEP, a daily pill to help prevent HIV, click here. For more information about the HIV Medication Assistance Program (HMAP - formerly ADAP), click here. For more information about accessing affordable Hepatitis C treatment, click here. 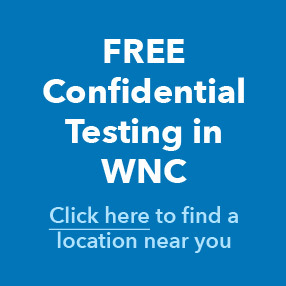 For more information about any of WNCAP's Pharmacy Services, please call (828) 252-7489​ or visit the WNCAP office at 554 Fairview Road, Asheville, NC​ from 9:00am-5:00pm Monday through Friday. You can also email Pharmacy Services​ for more information. Please be aware that email communication can be intercepted in transmission or misdirected. Your use of email to communicate protected health information to us indicates you acknowledge and accept the possible risks associated with such communication.